The Forsaken expansion overhauled Destiny 2 for the better, but it also introduced a stilted masterwork economy that limits player choice by forcing folks to use cores on infusing gear rather than masterworking it. The enhancement core update helped balance things out, but two DLCs into Destiny 2's annual pass, cores are still exceedingly rare. In the latest This Week At Bungie blog post, Bungie outlined further changes to the core economy coming in future updates, but it's unclear whether they'll take the edge off what feels like a needless tariff. "The goal of the infusion system is to create an impactful feeling of progression when you increase the Power of an item you enjoy using," Bungie wrote. "An infusion system with no scarcity around the materials would diminish this impact. To that end, we tapped into a material with inherent scarceness, Enhancement Cores, to use as one of the keystone materials for this process. "That is the goal the infusion system, but if the overall system is causing a negative experience, we want to work to improve it. We’re constantly monitoring the infusion economy to see what kind of impact it has on gear usage. We keep a close eye on the amount of infusion materials being earned versus how many are being used and will continue to make adjustments as needed. To that end, we’ll be making a change in Season of Opulence with the goal of providing more access to Enhancement Cores." Once the Season of Opulence starts up - which will be in June, by the way - the Scrapper bounties which are currently in the game will be replaced with daily and weekly Gunsmith bounties. These will be purchasable for Gunsmith materials and will reward enhancement cores, among other things. It will be nice to have another regular source of enhancement cores on top of Spider's bounties, but these Gunsmith bounties are still months away, and players have been asking for changes to the core economy for six months. The lack of cores put a damper on Black Armory because it made it difficult to maintain all the new weapons, and Destiny 2 Joker's Wild is already running into similar issues due to the abundance of infusion-hungry Gambit Prime armor. Infusion and the core economy is sucking the fun out of Destiny 2 right now, so a partial fix that's months away isn't terribly encouraging. The rest of the blog post is focused on Iron Banner, specifically two changes to the event's formula. In the next Iron Banner on March 26, PvP enthusiasts are getting an optional consumable called Iron Burden which will lower their Power level by 100 in the Iron Banner, making it more difficult to get kills. In return, they'll be able to earn a curated Wizened Rebuke fusion rifle and a new triumph. 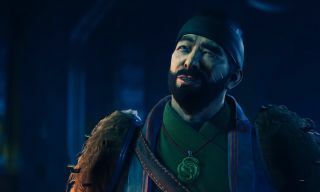 PvE fans, meanwhile, may want to try the Wolf's Favor consumable, which can be received from world activities like Strikes and Gambit, and which increases your Power by 100 for 30 minutes. Iron Burden is intended to challenge PvP fans, while Wolf's Favor is meant to encourage everyone else to give Iron Banner a try. It's an interesting idea, but I have to wonder if a fusion rifle - fusion rifles being one of the weaker special weapons at the moment - will be enough to drive anyone to handicap themselves in an already grindy mode.